The perfect home office with a separate entrance into the home! 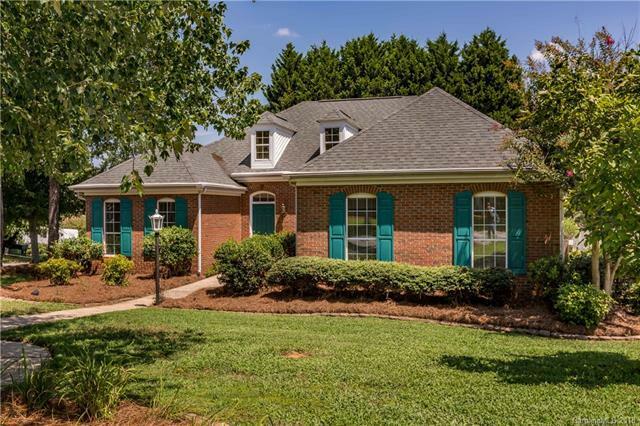 This beautiful 2,125 square-foot, 3-bedroom, 2-bath home is situated on a corner lot in the desired Reed Creek subdivision and is only minutes from I-77, near Lake Norman, shopping, recreation and entertainment. The open floor plan with split bedrooms is set up for entertaining while offering privacy and separating the two home offices with their own entrance. Whether you have a home business or are thinking about starting a home business, you must see this low maintenance home to truly appreciate it. This former model home boasts of many upgrades: Granite counters, bamboo flooring, travertine tile, crown molding, wainscoting, cabinetry with pull out drawers for easy access and tons of storage, large glass block shower and dual vanities in the master suite, in-ground irrigation, in-ground gas line for the gas grill, landscape lighting and an automated awning to cover the back deck when desired. Come see this beauty today!